This integration allows to: add Listings tab in BuddyPress profile (visitors can view user Ads, profile owner can view them and manage), display “Send Private Message” button on Ad details page, replace username on Ad details page with link to user BP profile and replace default WordPress registration (when posting and Ad from [adverts_add]) with more advanced BuddyPress registration system. In order to use this add-on you need to have WPAdverts and BuddyPress plugins installed first. 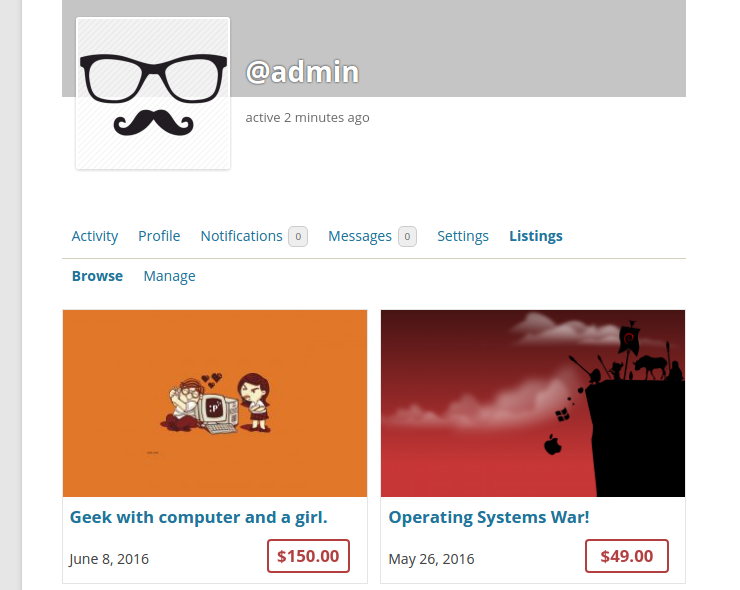 Once you have them, you can purchase BuddyPress Integration. After purchase you will receive a download link, to install the add-on, download the zip file to your computer, then go to wp-admin / Plugins / Add New / Upload panel, upload previously downloaded zip file and activate BP Integration. Registration – checking this checkbox will enable BuddyPress registration (instead of default WP registration) when user creates a new add using [adverts_add] shortcode and checks a “Create an account for me …” checkbox. To make this work properly you will also need to configure BuddyPress Registration and Login Pages. Private Messages – enabling this feature will show a “Send Private Message” button on Ad details pages. 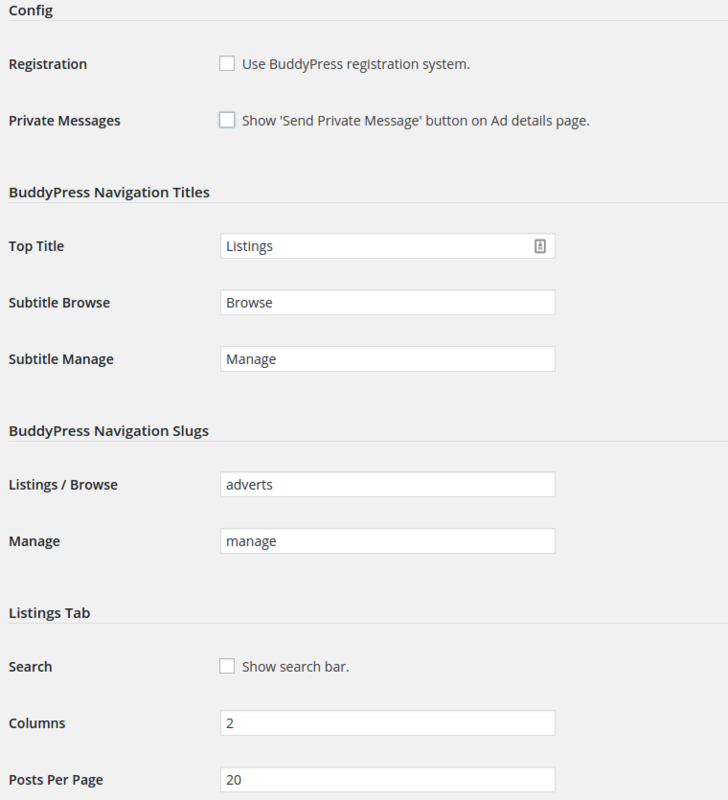 Note that in order to make it work properly you need to enable BuddyPress Private Messaging, you can do it from wp-admin / Settings / BuddyPress panel. In this section you can rename all the menu titles to your own. Listings Tab – Listings / Browse Tabs basically display [adverts_list] shortcode, in this section you can configure “search_bar” (enable or disable search bar in Listings tab), “columns” (number of columns to show) and “posts_per_page” params for this shortcode.